Circle Lounge is a small and friendly environment, with a big range and variety of spirits and drinks on offer. 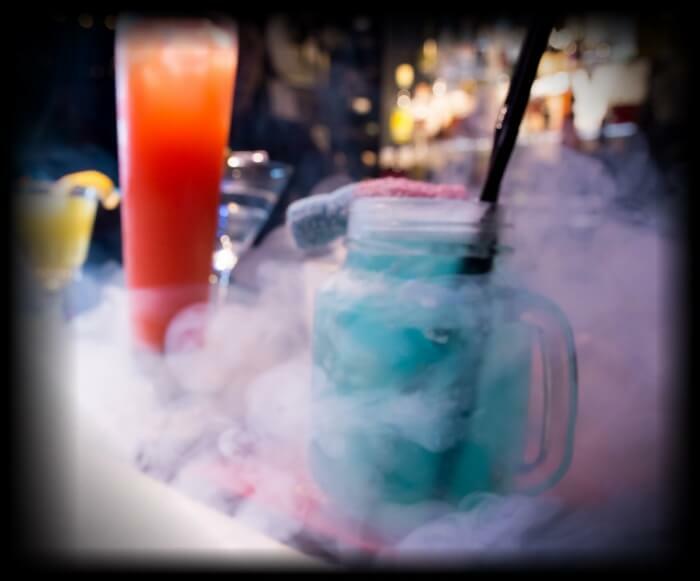 we pride ourselves on our ability to make drinks taste like anything you want, from sweet shop cocktails to the truly bizarre (like chip shop curry sauce…yes we have been asked for it) so even though we vary rarely perform Flaring (juggling bottles) we do make drinks extremely quickly and efficiently. although a small bar we can comfortably host approximately 60 people inside with bit of extra room for standing and our outside area. upstairs can be hired on selected nights throughout the week and the whole venue can be hired some of our closed days subject to a minimum spend policy. we have a very fun and professional team who are trained to host masterclasses and tasting classes which are a fantastic way to relax and do something a little different on a night out. we have been open since 2010 and going strong, we are continuously changing and improving little aspects to keep things fresh and exciting for both staff and customers, but don’t worry, we will never take the Jammie Dodger off the menu.